with gratitude to the USDA Forest Service. More videos at the discovertheforest YouTube channel. This PSA campaign aims to inspire tweens (aged 8-12) and their parents to re-connect with nature, experiencing it first-hand. … Nature gives teens the ability to explore, use their imagination, discover new animals and plants, and engage in adventurous play. Being in nature frees them from their crazy, scheduled days and offers the ability to get lost in something totally unmanaged, unexpected and utterly surprising. Nature instills a peace and calmness they can’t experience in their daily lives, and the more they discover the natural world around them, the more they will feel connected to the world and better understand their relationship to it. The Discover the Unsearchable video reminded me to practice conscious gratitude for the boundless gift of continual immersion in Balsamea, and for the frequent “high” of random moments of “falling unsearchable” within it, or discovering that unsearchable world within myself where things just are what they are, without evaluation, without expectation. I would love to hear that you shared this post or any of the above links with others. 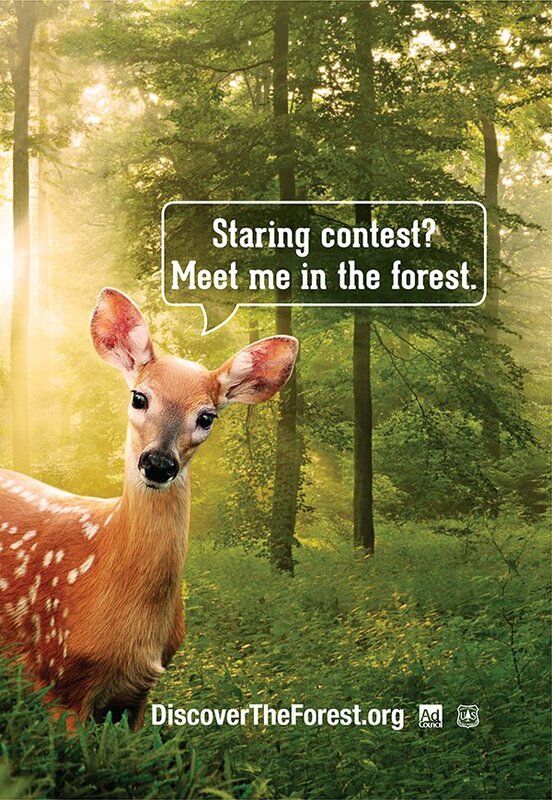 This entry was posted in Deer, Environmentalism, Kids and tagged Discover the Forest, Discover the Unsearchable, Forest Service, Naturehood by The Balsamean. Bookmark the permalink. Thank you! I’ll pass this on to people with kids or grandkids in that age range. Great to hear that. Good stuff!